Weathered – Portrait of an aged Asian male’s hand. 8″x8″ hot-pressed, 300gm Lanaquarelle watercolour paper. Faber-Castell Polychromos, own photo reference. This drawing of the hand was done specially for the DRAW Portraits in Colored Pencil. I received an email from Ann Kullberg back in August 2015 asking me whether I am interested to be one of the contributing artist for the book. I was taken aback because I am not known as a portrait artist. 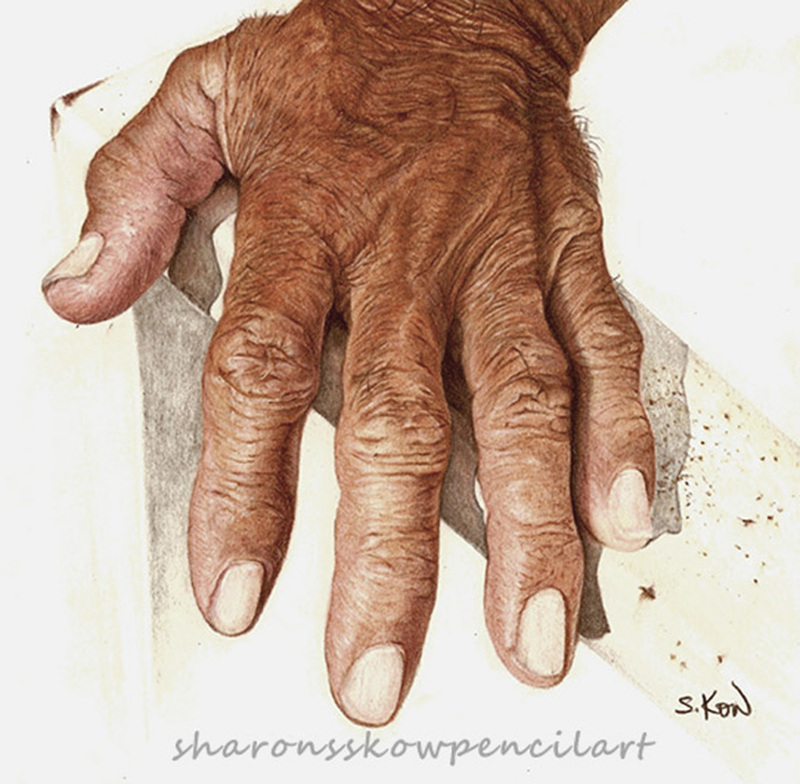 I have done a couple of hand portraits of my late father and my mother. And that was the specific subject I was asked to contribute. Needless to say, I was over the moon that my hands portrait were noticed and there are people who thought it was not bad.